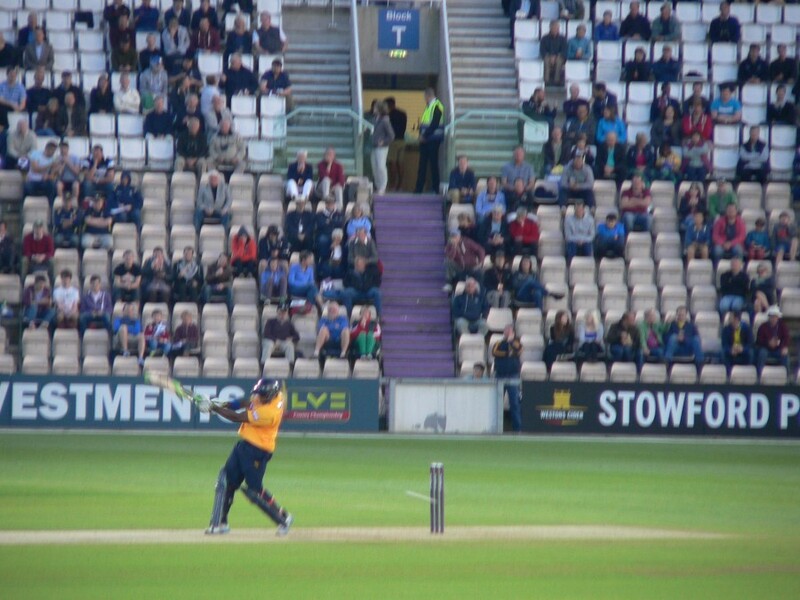 Today's photos are from the localish Rose Bowl cricket ground, where I went with a group of friends this evening to watch a Twenty20 match (so called because each side gets 20 overs) of Hampshire against Glamorgan. Hampshire lost unfortunately, by 151 to 161, despite some cracking batting later on. Why yes, that is the cricket ball hitting the wicket as an unlucky Hampshire player (Michael Carberry?) was bowled out. I want to understand cricket so badly, but I just get so confused.